^ a b c d Carpenter, Kenneth (2006). "Biggest of the big: a critical re-evaluation of the mega-sauropod Amphicoelias fragillimus". In Foster, John R.; Lucas, Spencer G. Paleontology and Geology of the Upper Jurassic Morrison Formation. New Mexico Museum of Natural History and Science Bulletin 36. Albuquerque: New Mexico Museum of Natural History and Science. pp. 131–138. ^ Farlow, J.O. ; Brett-Surman, M.K. (1997). "Preface". In Farlow, J.O. ; Brett-Surman, M.K. The Complete Dinosaur. Indiana University Press. pp. ix–xi. ISBN 978-0-253-33349-0. ^ a b c d Benton, Michael J. (2004). "Origin and relationships of Dinosauria". In Weishampel, David B.; Dodson, Peter; Osmólska, Halszka. The Dinosauria (2nd ed.). Berkeley: University of California Press. pp. 7–19. ISBN 978-0-520-24209-8. ^ Morales, Michael (1997). "Nondinosaurian vertebrates of the Mesozoic". In Farlow JO; Brett-Surman MK. The Complete Dinosaur. Bloomington: Indiana University Press. pp. 607–624. ISBN 978-0-253-33349-0. ^ a b Holtz Jr., T.R. (2000). 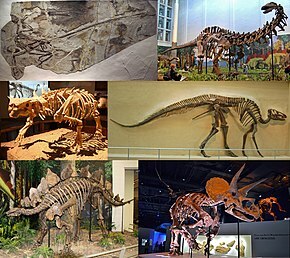 "Classification and evolution of the dinosaur groups". In Paul, G.S. The Scientific American Book of Dinosaurs. St. Martin's Press. pp. 140–168. ISBN 978-0-312-26226-6. ^ a b c d Holtz, Thomas R. Jr.; Chapman, Ralph E.; Lamanna, Matthew C. (2004). "Mesozoic biogeography of Dinosauria". In Weishampel, David B.; Dodson, Peter; Osmólska, Halszka. The Dinosauria (2nd ed.). Berkeley: University of California Press. pp. 627–642. ISBN 978-0-520-24209-8. ^ a b c d e Fastovsky, David E.; Smith, Joshua B. (2004). "Dinosaur paleoecology". In Weishampel, David B.; Dodson, Peter; Osmólska, Halszka. The Dinosauria (2nd ed.). Berkeley: University of California Press. pp. 614–626. ISBN 978-0-520-24209-8. ^ a b c d e f Padian K (2004). "Basal avialae". In Weishampel DB, Dodson P, Osmólska H. The Dinosauria (2d edition). University of California Press. pp. 210–231. ISBN 978-0-520-24209-8. ^ Sereno, P.C. ; Wilson, JA; Witmer, LM; Whitlock, JA; Maga, A; Ide, O; Rowe, TA; Kemp, Tom (2007). Kemp, Tom, ed. "Structural extremes in a Cretaceous dinosaur". PLOS One. 2 (11): e1230. Bibcode:2007PLoSO...2.1230S. doi:10.1371/journal.pone.0001230. PMC 2077925. PMID 18030355. ^ Archibald, J. David; Fastovsky, David E. (2004). 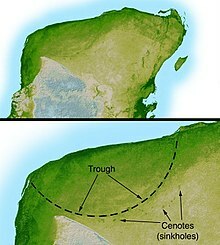 "Dinosaur Extinction". In Weishampel, David B.; Dodson, Peter; Osmólska, Halszka. The Dinosauria (2nd ed.). Berkeley: University of California Press. pp. 672–684. ISBN 978-0-520-24209-8. ^ Clark J.M., Maryanska T., Barsbold R (2004). 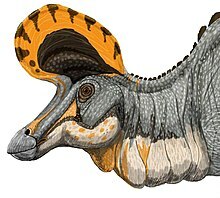 "Therizinosauroidea". In Weishampel DB, Dodson P, Osmólska H. The Dinosauria (2d edition). University of California Press. pp. 151–164. ISBN 978-0-520-24209-8. ^ Norell MA, Makovicky PJ (2004). "Dromaeosauridae". In Weishampel DB, Dodson P, Osmólska H. The Dinosauria (2d edition). University of California Press. pp. 196–210. ISBN 978-0-520-24209-8. ^ Farlow JA (1993). 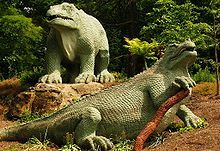 "On the rareness of big, fierce animals: speculations about the body sizes, population densities, and geographic ranges of predatory mammals and large, carnivorous dinosaurs". In Dodson, Peter; Gingerich, Philip. Functional Morphology and Evolution. American Journal of Science, Special Volume 293-A. pp. 167–199. ^ Sellers, W.I. ; Margetts, L.; Coria, R.A.B. ; Manning, P.L. (2013). Carrier, David, ed. "March of the Titans: The Locomotor Capabilities of Sauropod Dinosaurs". PLOS One. 8 (10): e78733. Bibcode:2013PLoSO...878733S. doi:10.1371/journal.pone.0078733. PMC 3864407. PMID 24348896. ^ Wright, Joanna L. (2005). 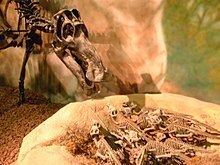 "Steps in understanding sauropod biology". In Curry Rogers; Kristina A.; Wilson, Jeffrey A. The Sauropods: Evolution and Paleobiology. Berkeley: University of California Press. pp. 252–284. ISBN 978-0-520-24623-2. ^ Li, Q. et. al. (2010). "Plumage Color Patterns of an Extinct Dinosaur" (PDF). Science. 327 (5971): 1369–1372. Bibcode:2010Sci...327.1369L. doi:10.1126/science.1186290. PMID 20133521. ^ Hopp, Thomas P.; Mark J. Orsen (2004). 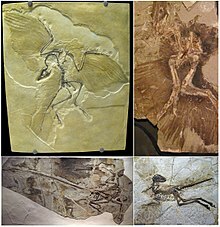 "11: Dinosaur Brooding Behavior and the Origin of Flight Feathers". In Philip J. Currie; Eva B. Koppelhus; Martin A. Shugar; Joanna L. Wright; James O. Farlow. Feathered Dragons: Studies on the Transition from Dinosaurs to Birds (PDF). Bloomington: Indiana University Press. pp. 234–250. Retrieved 10 December 2013. ^ Chinsamy A, Hillenius WJ (2004). "Physiology of nonavian dinosaurs". In Weishampel DB, Dodson P, Osmólska H. The Dinosauria (2nd ed.). University of California Press. pp. 643–659. ISBN 978-0-520-24209-8. ^ Pontzer, H.; Allen, V.; Hutchinson, J.; Farke, A.A. (2009). Farke, Andrew Allen, ed. "Biomechanics of running indicates endothermy in bipedal dinosaurs". PLOS One. 4 (11): e7783. Bibcode:2009PLoSO...4.7783P. doi:10.1371/journal.pone.0007783. PMC 2772121. PMID 19911059. ^ Sereno PC, Martinez RN, Wilson JA, Varricchio DJ, Alcober OA, et al. (September 2008). Kemp T, ed. "Evidence for Avian Intrathoracic Air Sacs in a New Predatory Dinosaur from Argentina". PLOS One. 3 (9): e3303. Bibcode:2008PLoSO...3.3303S. doi:10.1371/journal.pone.0003303. PMC 2553519. PMID 18825273. ^ Reid, R.E.H. (1997). 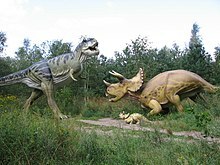 "Dinosaurian Physiology: the Case for "Intermediate" Dinosaurs". In Farlow, J.O. ; Brett-Surman, M.K. The Complete Dinosaur. Bloomington: Indiana University Press. pp. 449–473. ISBN 978-0-253-33349-0. ^ Gauthier, Jacques (1986). "Saurischian monophyly and the origin of birds". In Padian, Kevin. 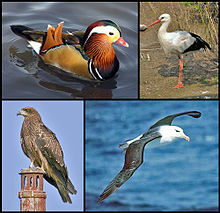 The Origin of Birds and the Evolution of Flight. Memoirs of the California Academy of Sciences 8. pp. 1–55. ^ Sereno, P.C. ; Martinez, RN; Wilson, JA; Varricchio, DJ; Alcober, OA; Larsson, HC; Kemp, Tom (September 2008). Kemp, Tom, ed. 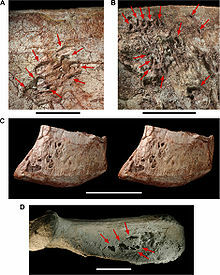 "Evidence for Avian Intrathoracic Air Sacs in a New Predatory Dinosaur from Argentina". PLOS One. 3 (9): e3303. Bibcode:2008PLoSO...3.3303S. doi:10.1371/journal.pone.0003303. PMC 2553519. PMID 18825273. ^ a b Sarjeant WAS (1997). "The earliert discoveries". In Farlow JO, Brett-Surman MK. 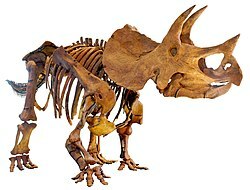 The Complete Dinosaur. Bloomington: Indiana University Press. pp. 3–11. ISBN 978-0-253-33349-0. ^ Sues, Hans-Dieter (1997). "European Dinosaur Hunters". In Farlow JO; Brett-Surman MK. The Complete Dinosaur. Bloomington: Indiana University Press. p. 14. ISBN 978-0-253-33349-0. ^ Peterson, JE; Lenczewski, ME; Reed, PS (October 2010). Stepanova, Anna, ed. "Influence of Microbial Biofilms on the Preservation of Primary Soft Tissue in Fossil and Extant Archosaurs". PLOS One. 5 (10): 13A. Bibcode:2010PLoSO...513334P. doi:10.1371/journal.pone.0013334. PMC 2953520. PMID 20967227. ^ Breithaupt, Brent H. (1997). "First golden period in the USA". In Currie, Philip J.; Padian, Kevin. The Encyclopedia of Dinosaurs. San Diego: Academic Press. pp. 347–350. ISBN 978-0-12-226810-6. ^ Glut, D.F. ; Brett-Surman, M.K. (1997). Farlow, James O.; Brett-Surman; Michael K., eds. The Complete Dinosaur. Indiana University Press. pp. 675–697. ISBN 978-0-253-21313-6.